With the exception of Antarctica, rodents are everywhere. In fact, the rodent family (Rodentia) is the single largest group of mammals on earth. What makes a rodent a rodent? Rodents are small animals characterized by oversized bodies, short arms and legs, long tails and have a single pair of continuously growing incisors in their upper and lower jaws. In Canada, the most well-known rodents are mice, rats, squirrels, porcupines, guinea pigs, and hamsters and our national animal the beaver. Rodents have adapted extremely well to human environments. They use their sharp incisors to gnaw food, excavate burrows and defend themselves. Most rodents eat seeds or other plant material, although many have varied diets. They tend to be highly social living in complex societies with complex ways of communicating. Mating can vary from monogamy, to polygyny, to promiscuity. Our relationship with rodents is extremely varied as rodents have been used for food, as pets and in laboratory research. Some species are considered serious pests, eating and spoiling food stored by humans and spreading diseases. Some rodents are known to be invasive as they threaten the survival of other native species. The cartoon versions of mice are cute and funny but in real life they carry diseases and parasites and are known to contaminate surfaces, food and transmit viruses. Mice are known to have poor eyesight and therefore rely on their strong sense of smell and hearing to identify food sources and avoid predators. If you’ve seen one mouse in your house or the presence of mouse droppings then you probably have several unwelcome guests. mouse pest control toronto Size: 5-7 inches (12.5-18 cm) long Colour: Typically light to dark grey but variations are common. Mice are highly adaptable and given their small size their food requirements are limited and they can hide in cramped spaces. While mice are able to survive in outdoor environments, our homes are a favourite place for mice to find shelter. They usually enter through cracks and crevices in foundations and doorways. They typically nest in walls, attics, closets, under appliances or inside furniture. When cold weather arrives, mice usually start looking for shelter in our homes. Mice have a varied diet and can survive with limited amounts of food and even without water. In the outdoor world they eat crops and in homes they will eat whatever you store in your pantry or refrigerator. In a 6-month period two mice can eat up to four pounds of food and leave up to 18,000 droppings. Mice are able to reproduce very quickly and females produce between 4 and 7 pups per litter through a gestation period that lasts only 19 days. Females will produce approximately 8 litters in their lifetime. In ideal environments a female can produce a litter every 24-28 days. The typical lifespan of a house mouse is approximately one year. Mice can easily contaminate surfaces in your home as they spread bacteria, viruses and parasites are spread through their droppings, urine and saliva. As well, breathing in particles and dust that have come into contact with mouse feces has been linked to Hantavirus which can lead to Hantavirus Pulmonary Syndrome. Mice also love to chew on cords and wires which can create serious fire hazards in the home. A Cannon Pest Management Professional will provide a thorough inspection of your house to determine the likely points of entry and identify where mice are nesting. Structural issues in and around your home are usually the first things we identify to help prevent further infestations and then we consult with you on the best method of to eliminate the mice inside your home. A number of control methods are available to capture mice which include poisons, traps and ultrasonic devices. Rodenticides can be effective but the service may require additional proactive and mechanical control methods if pets or small children occupy the residence. Traps can work well but must be placed strategically to maximize their effectiveness. Ultrasonic devices have not proven to be very effective and it is unlikely that they will cause mice to leave the building they are occupying. Similar to mice, rats also carry diseases and parasites and are known to contaminate surfaces, food and transmit viruses. The most common rat in the GTA is the Norway Rat and is larger, stronger, more aggressive and better adapted for reproducing and handling the climate of Toronto than other rat species. rat Size: 7-10 inches long Colour: Fur is usually light to dark grey but variations are common. Droppings: 25 – 30 mm (3/4 inch) in length. Norway rats and rats in general have lived alongside humans for centuries. In outdoor environments they build their nests under buildings and other structures, along river banks, in garbage dumps – essentially wherever they can find food and shelter. In urban areas they live around houses and buildings, in basements, warehouses, and sewers. Norway rats usually inhabit the lower floors of multi-story buildings. Like mice, rats are able to reproduce very quickly. Litters consist of 6-12 rats which are born within 25 days of conception. Females can mate within a day after a litter is born and produce 4 to 6 litters per year. Newborn rats begin eating solid food between 2-3 weeks and are able to begin reproducing at 3 months. Norway rats dig burrows for their nests underneath homes and buildings which can cause structural damage and impact their stability and impact impact the stability of homes and buildings. They also cause structural damage chewing on wood and create fire hazard by chewing on electrical cords and wires. Rats also contaminate surfaces, food and transmit disease through contact with saliva and droppings. The most common diseases they transmit are salmonellosis, rat bite fever, leptospirosis, and plague. Controlling rats can be difficult because they are neophobic which means they often avoid new things introduced to their environment – like a trap for example. Often traps need to be baited but not set for a period of time before they will investigate. A Cannon Pest Management Professional will provide a thorough inspection of your house to determine the likely points of entry and identify where mice are nesting. 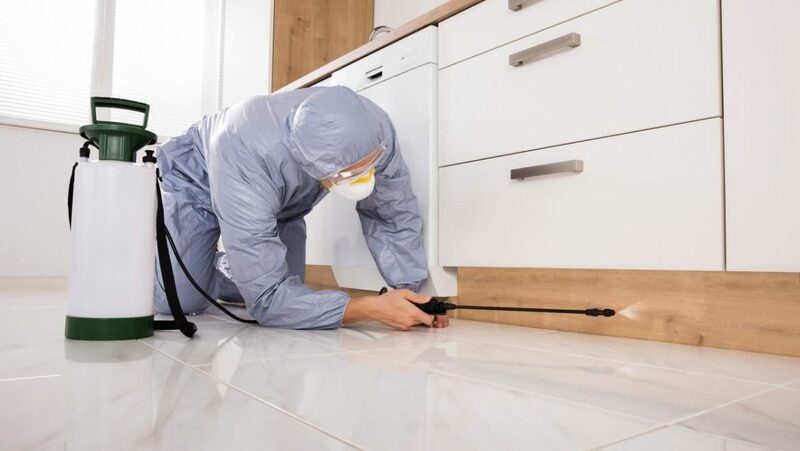 Structural issues in and around your home are usually the first things we identify to help prevent further infestations and then we consult with you on the best method of to eliminate the mice inside your home.